1. Preheat the oven to 200°C/R6. Fry the mince, onion and carrots in a large, non-stick saucepan for 5 minutes until browned. Add the tomato purée, Worcestershire sauce and stock, cover and simmer for 20 minutes. 2. Meanwhile, cook the potatoes in boiling water for 15-20 minutes until tender. Drain and mash with the milk and a little butter, if required. Season to taste. 3. 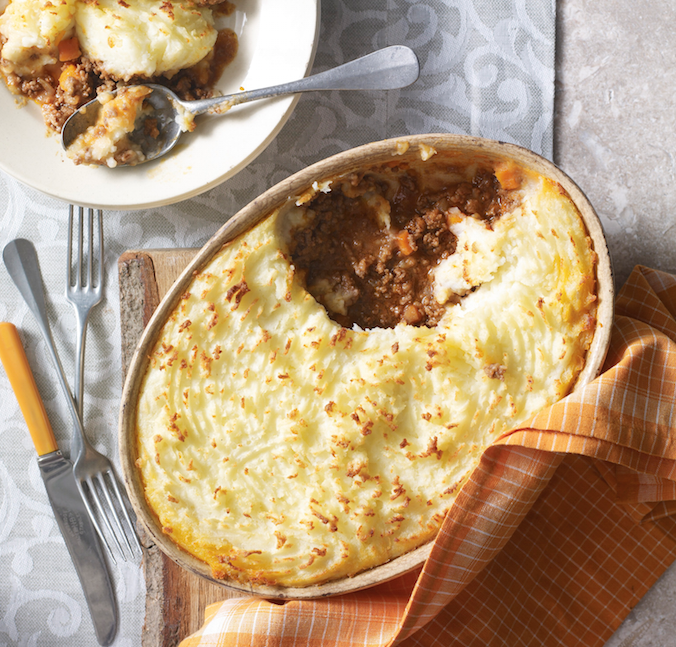 Transfer the mince to an ovenproof serving dish and top with the mashed potato. Bake for 20-25 minutes. The perfect complement for your Sunday roast - whichever meat you choose! This classic regional dish is guaranteed to end up on the family favourites list!